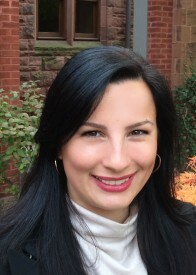 A strategy and project management specialist, Nina Boric brings over eight years of experience in higher education. Holding increasingly senior roles at the Munk School of Global Affairs and Public Policy at the University of Toronto, she continually offers unique vision and leadership to her new positions. Nina has developed and delivered a multitude of programs and services, including restructuring and spearheading the annual Lionel Gelber Prize; leading a capital renovation project; and executing a collaborative flagship initiative with the Department of Foreign Affairs, Trade, and Development. A consummate relationship-builder, Nina fosters successful partnerships with a range of post-secondary, government, and media organizations, including Foreign Policy magazine and TVO. In 2012, she became executive director of Atlantic-Bruecke Canada, a transatlantic program within the Munk School. She has also worked with the Initiative for Women in Business program at the Rotman School of Management. Nina completed her H.B.A. at Trinity College and her M.A. in Ethnic, Immigration, and Pluralism Studies, at the University of Toronto. Her professional interests include fundraising, nurturing strategic relationships, and facilitating intercultural dialogue.